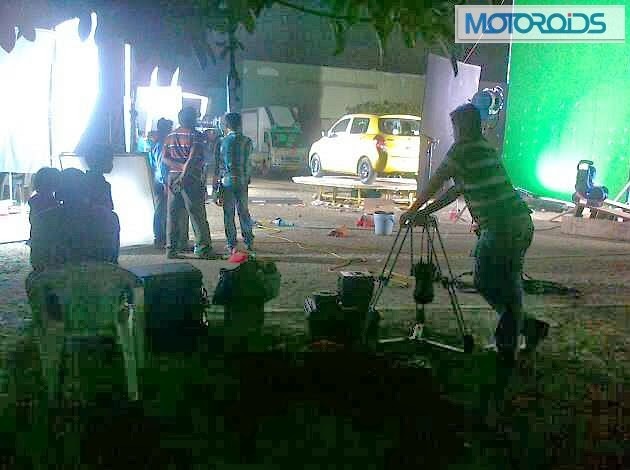 The much talked about Maruti Suzuki Celerio, which is slated to be launched in the upcoming 12th Auto Expo, has leaked some pics of itself. The standout feature of the car is the Automated-Manual Transmission (AMT), a first in the segment and in the entire market. The new AMT is a clutch-free transmission box but requires the driver the select the gear as in a regular manual transmission. In simple terms, it means that there is no clutch lever in the car but still you have to move the gears up and down, just like what you do in your regular manual geared car. 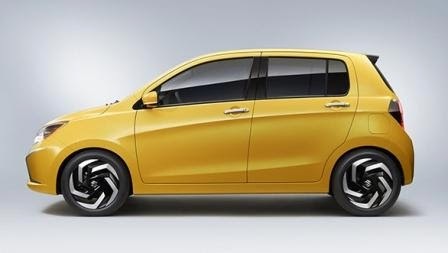 Maruti names this new feature as ‘EZDrive’ and rightly so as it will be a big boon for the urban commuter who is constantly bogged down for the stop-and-go bumper to bumper traffic. Since the AMT is not a fully automatic transmission mechanism, it is expected to be cheaper thus not adding much to the overall cost of the vehicle as normally the AT version of any model costs around Rs.1 lac more than its Manual variant. 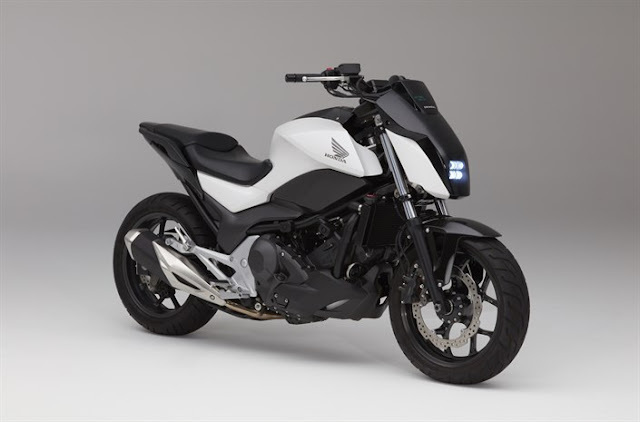 Moreover, it is expected to be more fuel efficient than the fully AT transmission since in the AMT you select the gears yourself and the is no energy loss due to lack of torque converter. Surprisingly is it reported that the AMT will be 5% more fuel effiecient than the Manual variant. And what’s more interesting is that you can switch between the fully automatic or the sequential shift mode at will. 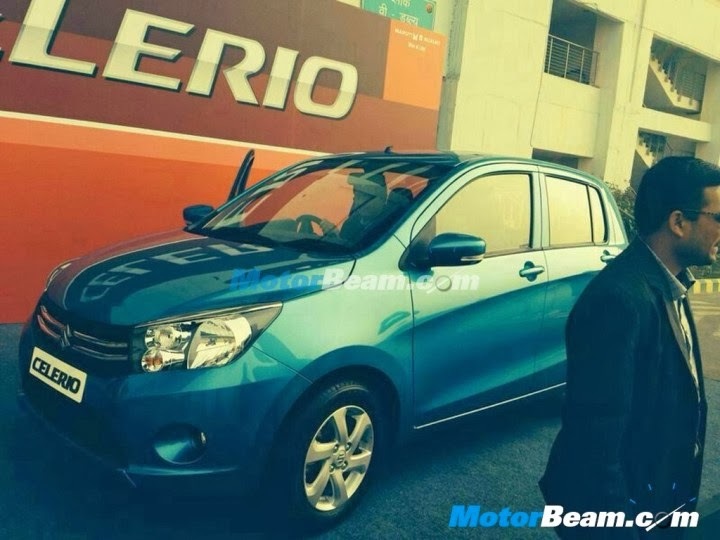 On top of that Maruti will also offer the Celerio with a 5-speed manual gearbox. The AMT is patented by Magneti Marelli, subsidiary of Italian car giant Fiat SpA. 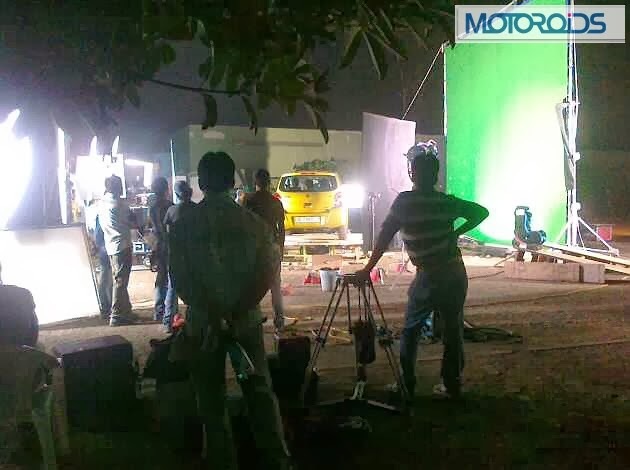 The AMT components will be sourced from Europe and assembled at the Manesar plant thus reducing the cost. 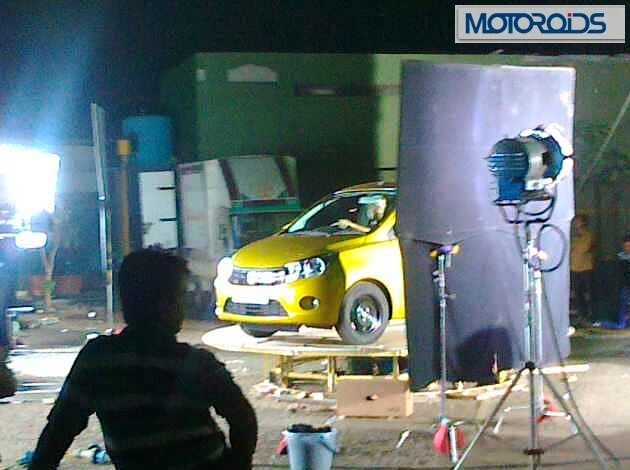 The Celerio has been designed in India primarily for the local market and also as a global hatchback. 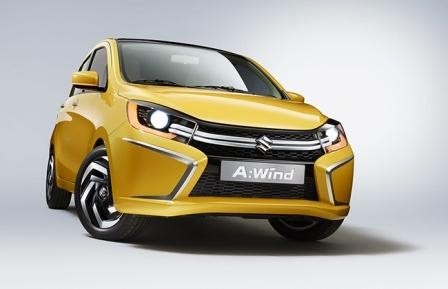 The Celerio will be exported from the Indian plants to major markets overseas. 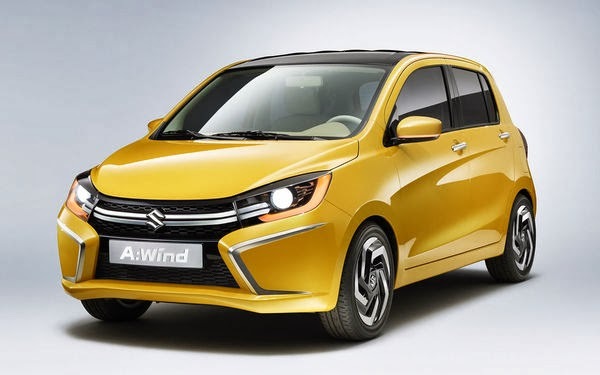 The Celerio, which is the replacement of the A-star and the out-of-production Estilo, will feature the 1.0L 3-cyl K-series petrol engine which delivers 67hp and 100Nm torque and is also rumored to be available with an 800cc 2-cyl diesel engine by the end of 2014. 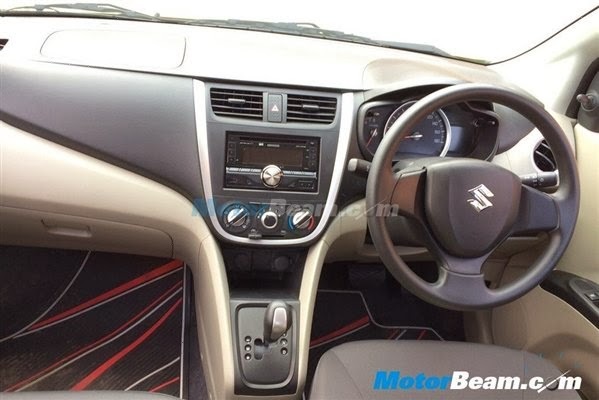 The petrol variant is expect to deliver around 19kmpl mileage. 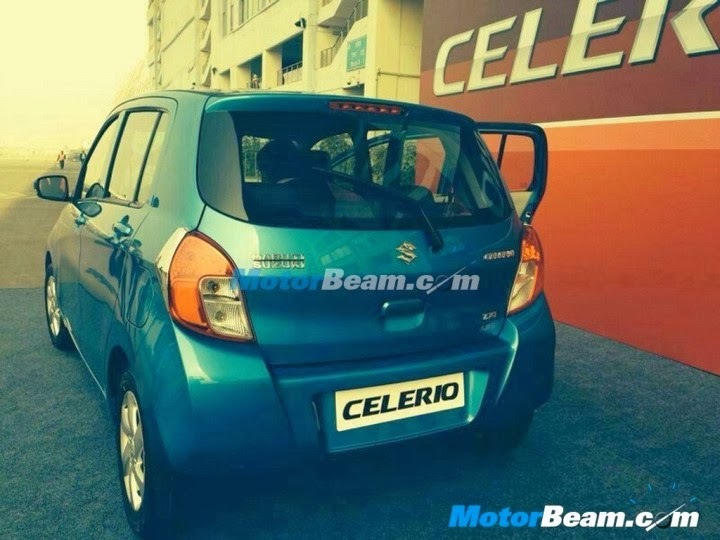 For Suzuki the Celerio is a global hatchback and at the 12th Auto Expo Maruti Suzuki will hold its World Premier. 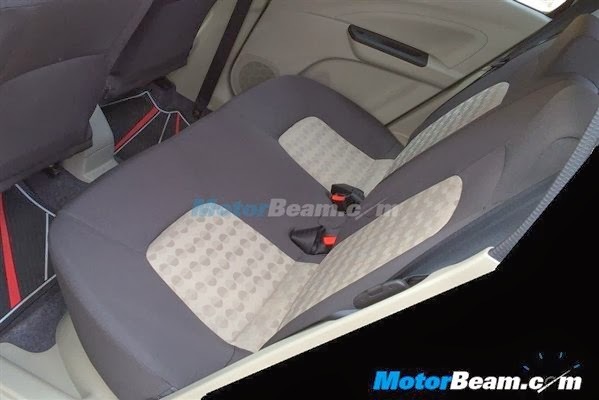 In the leaked pictures you see here (pics source : MotorBeam), the gearbox is combined with the dashboard just like the new Grand i10, although the plastic quality does not look like to be as good as the i10 Grand, but better than the outgoing A-star and Estilo. The dash layout is plain and simple dual black and beige coloured with silver accents. The steering wheel is borrowed from the new Swift. The instrument panel features a big speedometer with tachometer on the left and a digital multi-info display on the right which is quite plain and simple. The interior space seems to be bigger than the A-star and feels airy. The head-light design is bold and adds to the overall premium look of the car.